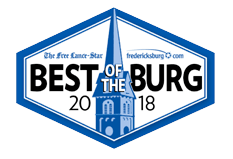 Adam is the founder and Head Trainer at RARE CrossFit in Fredericksburg, VA.
Adam is a Certified Level 1 CrossFit Trainer and competitive ultra-marathon runner. Adam brings his comprehension of teamwork, motivation, and goal accomplishment to his coaching with outstanding success. 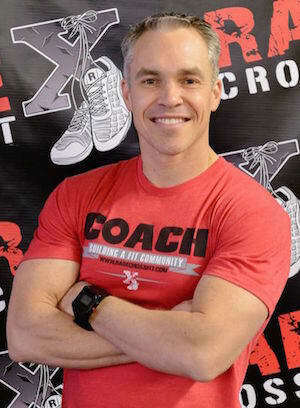 He will help you define your goals and provide knowledge, focus, and support to achieve your health/fitness potential. “My motivation: knowing that I am helping others get fit and healthier each and every day!” Growing up, lifting weights and working out was a part of every day life. At the age of 30, I was coerced by a friend to run the Marine Corps Marathon. Though I had never run more than 13 miles in preparing for it, I finished my first Marine Corp Marathon and was hooked. The next challenge was to run an Ultra-Marathon, The Great Eastern Endurance Run in Charlottesville, VA. I successfully finished the race and focused on bigger challenges. 2007 was a great year, I ran 5 ultra-marathons and in September was introduced to CrossFit by a fellow ultra-runner. I was immediately fascinated by the challenge of the WOD (workout of the day). By early 2008, I wanted to put CrossFit to the test for myself. I had been running 6 days a week to prepare for my ultra’s and at times my body was breaking down. I had IT Band issues, fatigue, and other problems that started to make my running more of a chore rather than something I enjoyed. So, I started only doing CrossFit workouts and ran once per week. 2008 was my best year yet. I ran 12 ultra-marathons, including multiple 50K’s, 50 milers, and attempted my first 100 miler. I completed 11 out of the 12 races. The biggest highlight came when I finished the MMTR 50 Miler. The race is 54 miles long with 9,200/7,200 feet of elevation gain/loss. I finished in 10 hours and immediately after the race I bench pressed my body weight 20 times. CrossFit has definitely transformed me into a better athlete and into the best shape of my life. Additionally, Adam has his Bachelor’s Degree in Business Administration from the University of Mary Washington and is working towards his Master’s Degree.